THE entire future of Volvo’s SUV offering rests on the shoulders of a single vehicle, the stunning new XC90, so it’s fitting that Volvo (and its new-ish Chinese owners) have spent the necessary time to get it right, because it follows in the footsteps of the first-generation 7-seat SUV which was a raging sales successmoncler jas despite being quite long in the tooth by the time it was retired last year. 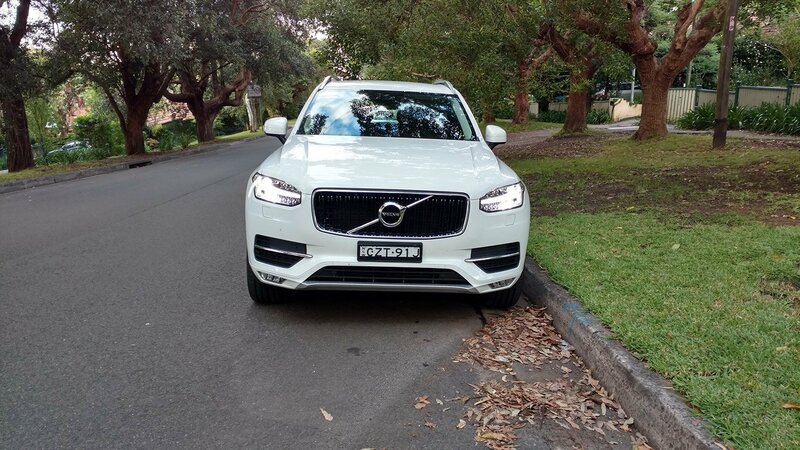 The vehicle on test currently is the XC90 T6 Momentum. Gone are the days where you could determine which engine type or capacity was under the hood by the badge. In today’s Volvo nomenclature the T6 is actually a 2.0 litre, super-charged and turbo-charged four-cylinder petrol engine, which punches out 235kW of power, and a very respectable 400Nm of torque. Even more surprising is the last time a T6 nameplate was seen on an XC90 it represented a 2.9 litre turbocharged six cylinder petrol, with an output of only 200kW and 380Nm. Engine technology has come a long way. The Momentum represents the base model across both diesel and petrol engines, but in T6 guise, the price is still upwards of $95,000. This is more than a whopping $20k above the price of the top-of-the-range R-Design variant from 2015. The significant re-positioning of the XC90 means it now goes head-to-head with the likes of the X5, Q7 and new GLE. Only time will tell if the big Volvo has what it takes to mix it with the big boys. Performance is actually quite surprising from the little 2 litre four-pot. It has great pick-up from idle, courtesy of the supercharger, and more than sufficient get-up for overtaking on the freeway. It does get a little breathlessmoncler outlet when charging up hills at 110km/h, but the 8-speed automatic gearbox makes light work of gear changes, and rarely hunts for the right one. Handling is excellent, with little body roll, and heaps of grip from the 19-inch wheels. Road noise is a little intrusive on the highway – noticeably more so than in less expensive vehicles. Initial impressions are good. The exterior design is striking – it’s a great looking car, especially from the front quarters. The “Thor’s Hammer” daytime running light (DRL) design is distinctive and it works. So well in fact, Audi’s new Q7 appears to pay homage to it. Extensive use of chrome on the grille doesn’t appear gaudy, but it’s immediately obvious as a Volvo approaching in the rear-view mirror. The rest of the exterior is well-resolved, from the 19-inch wheels in a premium 10-spoke pattern, to the integrated aluminium roof rails, and the slightly flared haunches. It’s a nice looking SUV, which almost shrinks into its suit – it doesn’t appear to have as much heft as the old Q7 or even the new X5. It’s packaged well, and with simple, clean lines. 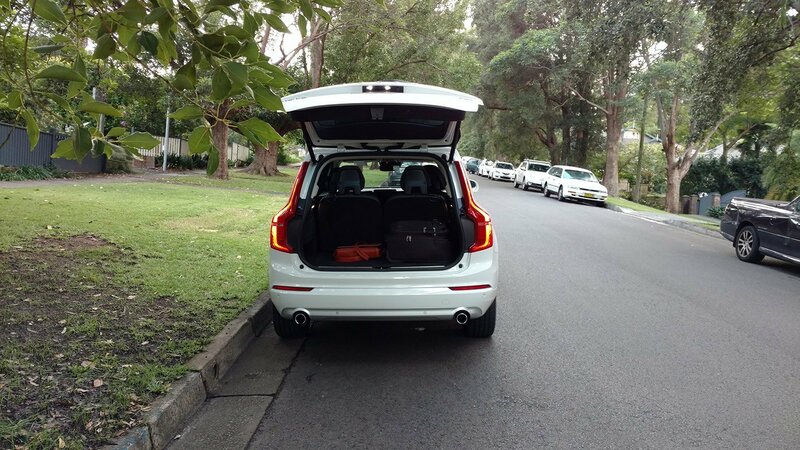 The rear of the XC90 is the only angle where it appears a little less than premium. The long wide slabs of metal, and the narrow spindle of tail-lamp down each side widen the stance of the car from the back, but where the old XC90’s tall tail-lamps widened towards the bottom, the new model’s lights flare out, almost exaggerating the standard Volvo shoulder-line accentuation to the point of exaggeration. Perhaps it will grow in appeal over time, but nonetheless it’s a subjective thing. The interior impresses when climbing into the high-set driver’s seat for the first time. The eye is immediately drawn to the enormous, portrait-oriented, iPad style central display tilted ever so slightly towards the driver in the middle of the dash. What’s also obvious is the lack of buttons or HVAC controls on the centre console, but more on that later. The result is an incredibly clean – Scandinavian – sense of serenity. Even the gear leaver is not surrounded by buttons or rotary controllers, just a sliding cover for the cup-holders, the electronic park brake button, and just for a little Saab-style quirk, a starter knob instead of a button. The knob takes a little getting used to (this driver continued to stab the dash with his finger even after several drives, looking for the starter button), but it actually works, and is a nice touch. The steering wheel is a work of art. Seriously. It’s leather-wrapped, it’s chunky, it only has three spokes, so it’s simple and it’s uncluttered. The buttons for controlling the cruise and audio are gloss black with white back lit symbols, and the thumb-rests at 10 and 2 o’clock are some of the best on any car. It might not sound like much, but they protrude enough to rest thumbs on the front of them, and it almost encourages the driver to hold the wheel like the driving instructor insisted all those years ago before he’d put a pass mark on the licence application. 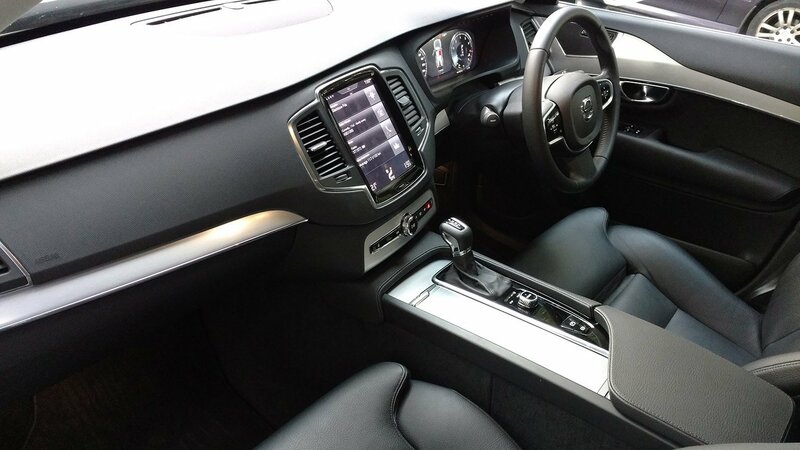 Still on the steering wheel, the glorious piece of engineering it is, it’s here that Volvo begins to show it’s either cut a few corners or its made some compromises which ultimately will lead buyers to question whether it’s worth paying upwards of $90,000 for the XC90. Next to the cruise buttons on the 9 o’clock spoke of the steering wheel are two buttons which in other vehicles would ordinarily adjust the distance the radar cruise control keeps from the vehicle in front. Except in the T6 Momentum, there’s no radar cruise control. No radar cruise, but in this $95k premium SUV, a driver will be reminded every time s/he sits behind the wheel that they should have ticked a few more options boxes. Redundant buttons in a vehicle which prides itself on minimal buttons at all is a bit of a let-down, especially in such a prominent position. They really should just have been blanked out if not replaced with a customisable function, similar to what BMW has been doing for at least 20 years. Behind the steering wheel (no hard feelings) sits the instrument cluster. 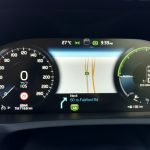 Or at least the graphical representation of the instrument cluster, for the big Volvo has adopted the approach of high-end VW’s and Audis by deploying a high-resolution TFT display in lieu of physical dials for speed, RPM and fuel tank levels, among others. The ability to replicate the satellite navigation directions here is both beautiful and functional. It saves the driver needing to look at the centre console. The display is pretty, but it’s not quite up to the polish of its Bavarian competitors. The most illustrative example is on start-up. The dials rush at the driver as if appearing from the distance, and the needles swing back and forth similar to the way Subaru’s dials physically have for years. But it’s a little skittish. The needles don’t swing smoothly, and the various animations tend to jerk a little, like playing the latest Angry Birds game on a 2 year old iPhone. 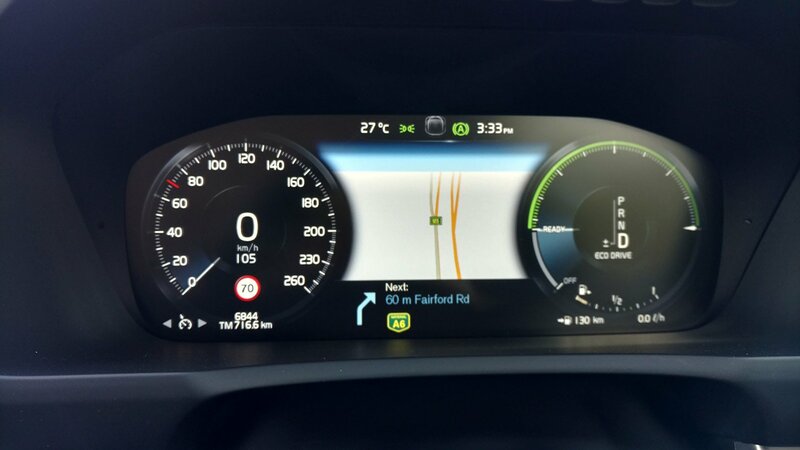 It’s a nice touch from Volvo to include the graphical display as standard, but honestly this reviewer would prefer the old physical dials until Volvo can make the display as sharp as real life. It’s not inconceivable – Audi does it, and Apple’s had a ‘retina display’ for a good three years now. To the centre console and that glorious iPad-style interface. Its integration into the dash, with only half a dozen buttons below it and a volume knob really are the pinnacle of Scandinavian design. The gloss black surround, and the chrome trim framing the screen and a set of symmetrical air vents just looks all class. The interface is intuitive, and operates much like an Android or Apple tablet, with swipes up and down, pull-down notifications, and a sensitive enough touch-screen that there’s no need to stab it with an index finger. Press lightly and it will obey your command. Connecting the mobile phone to the Bluetooth was a breeze, and if it’s given access it will even keep an eye on text messages too. The 10 speaker stereo system is perfectly adequate, and can be upgraded for a fee if required. By the end of the assessment, as pretty as the centre console is without a plethora of buttons and dials to complicate the visual ‘zen,’ there was some doubt that Volvo has quite nailed the ‘form vs function’ balance. Traveling with passengers, there’s always the need to adjust the temperature controls, and without a knob, even for the driver, it’s a process that requires at least three finger-taps on the main display screen. Which buttons to include, which ones to leave to the touch-screen, no doubt would have been a topic of heated conversation over the course of developing this dash design, but it wouldn’t have made too much difference to the layout to include a couple of small dials for what is presumably one of the most common interactions with a dashboard. The front seats are comfortable, and the driver’s seat is extendable for excellent long-distance cruising comfort. Both front seats have memory function, but the leather doesn’t feel premium enough for a car like this. Premium Nappa leather is available as an option, if you’re willing to accept paying an additional $2,500 for it. In the second row, there is a built-in child booster seat in the middle, and the outer pews have plenty of lateral and under-thigh support, as well as sufficient leg-room and head-room for all but the tallest of adults. The third row, not so much. Adequate headroom back there, but only for people with little legs, which is to be expected. There are dedicated third-row air vents however, which are controllable from the centre console up front. With the third row of seats there is little room for luggage, so if you have a big family make sure you have a roof-mounted carrier! Of course safety is a particularly important brand attribute for Volvo, and although its leadership may have been eroded by other makes scoring just as well or better in crash tests, to Volvo’s credit they’ve installed their proprietary ‘IntelliSafe’ system in the XC90 as standard. 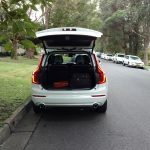 Keen observers may recall back in 2009 Volvo put the first generation iteration, back then called ‘City Safety’ as standard in its then-groundbreaking XC60. In 2016, competition is much tougher however, with the German marques offering essentially the same systems of collision mitigation, pedestrian detection and lane departure warnings in their full-size SUVs. There are some really beautiful design touches with the new XC90, from the gorgeous frame-less rear-vision mirror, to the real metal inserts on the dash and doors, it exudes simple quality. But does it get to the same standards as the Germans? Sadly, not quite. The doors don’t ‘thunk’ the way they do in an X5. The external door handles feel very light and a little too plastic. An owner is going to interact with the door and handle every single time they drive the vehicle, and they just don’t convey the sense of occasion one expects from a premium circa $100k SUV. The wiper/lights stalks are a little similar – light, hard plastic, and not a lot of weight to them. Again, it might sound like a small issue, but Volvo has priced the XC90 to be measured against the best SUVs from the Fatherland, and it’s attention to the little things that have long allowed them to set the benchmark. Overall, the big Volvo ticks a lot of boxes. At $80,000 it would be a runaway success, and genuinely stealing sales from the German trio as a value-oriented premium offering, somewhere between Volkswagen and Audi. 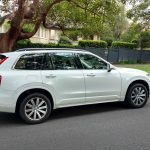 Considering that the $95,000 asking price on this XC90 T6 Momentum could also buy you an X5 Xdrive 25d with a bit of spare change left over (albeit with 5 seats), or a 3.0 litre Q7 with similar levels of kit and sense of occasion, it’s going to be much more challenging for Volvo to move substantial volume without discounting, once the initial wow-factor wears off. It just doesn’t quite feel premium enough in the detail. 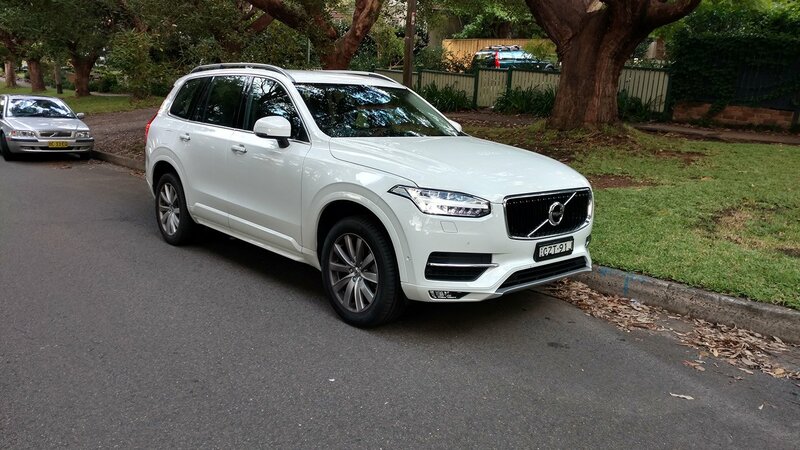 As a practical, semi-premium, seven-seat SUV however, it will appeal to many owners of the previous-generation XC90 who swear by the family-friendly, and slightly quirky design offered by the Scandinavian stalwart. The Volvo XC90 T6 Momentum comes in a total of 10 colours (water based no less in a nod by Volvo to its strong environmentally friendly policies) including Ice White, Magic Blue, Electric Silver, Ember Black, Savile Grey, Twilight Bronze, Crystal White, Bright Silver, Osmium Grey, Onyx Black and Luminous Sand. Some 20 upholstery and four wheel options are also available. 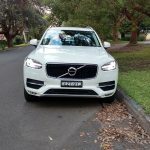 Our test vehicle was provided by Volvo Australia. 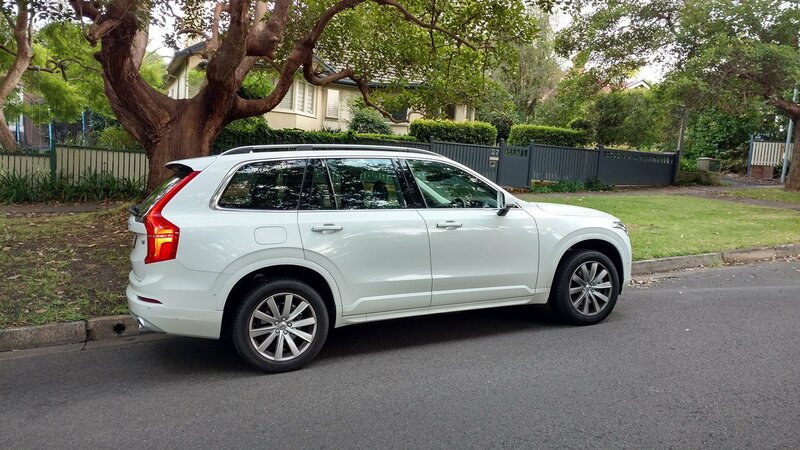 To find out more about the 2016 Volvo XC90 T6 Momentum, contact your local Volvo dealer. Pros – groundbreaking style; elegant Scandinavian interior; gutsy little engine. Cons – sub-par quality of some finishes: price; tyre roar.